The drop in temperatures has had me reaching for boots and shoes that will keep my toes warm. The other day I realized that all of my boots are high heeled. This is fine with me but sometimes I want to dress down my look and keep it casual which is where flat boots come in handy. Flat boots are also great for when you plan on being on your feet all day. I've scoured the internet and searched the stores and have come up with my top 6 boots that are on my "Wish List" for this Fall/Winter season. I have the same problem and have been on the hunt for the perfect flat riding boots. I actually like those JCP ones, so I may have to go check them out...great options here! 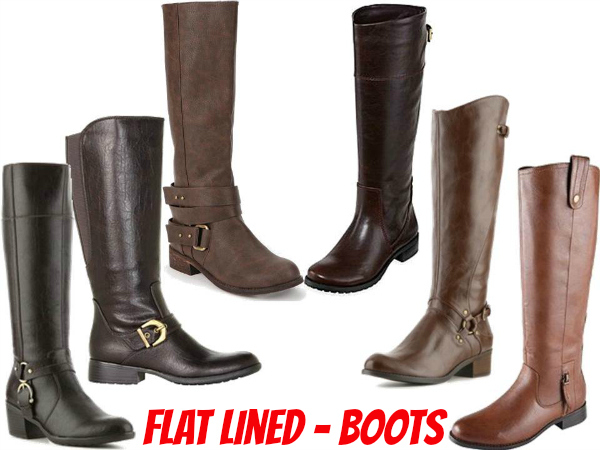 I LOVE flat riding boots! I have a leather pair from Bandolino I got many years ago and they are starting to wear out so I'll probably be on the hunt for new ones soon! Love them! #3 is my fav! I need a new pair of brown boots asap.